MOSCOW, November 9. /TASS/. Syrian troops supported by Russian military officers have freed 19 Islamic State hostages, the Russian Defense Ministry said in a statement on Friday. 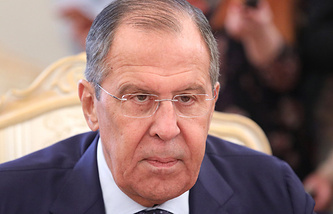 "On November 8, 2018, Syrian forces carried out a carefully planned special operation under the guidance of Russian military officers from the Center for Reconciliation of the Opposing Sides in Syria, rescuing 19 civilian hostages seized by the ISIL [the former name of the Islamic State terror group outlawed in Russia - TASS] more than three months ago," the statement reads. According to the Russian Defense Ministry, the Russian and Syrian troops freed 15 Druze children and four women, who had been seized by IS units in Syria’s Suwayda province in July 2018. "The freed women and children are receiving the necessary assistance so that they can return to normal life as soon as possible," the Russian Center for Reconciliation said. IS gangs are demanding that the Syrian army stop its military operation in the Tell es-Safi mountainous canyon, which is their last stronghold in southeastern Syria. The Syrian army and militia units have surrounded the area, cutting militant supply routes.